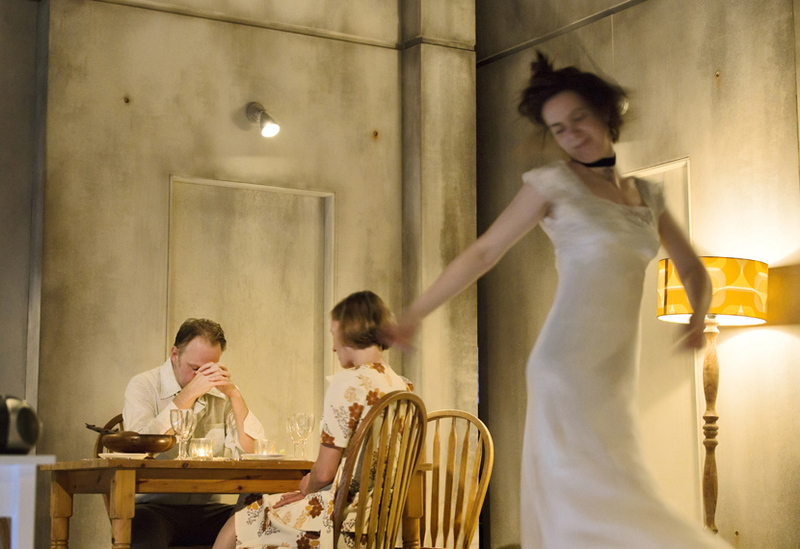 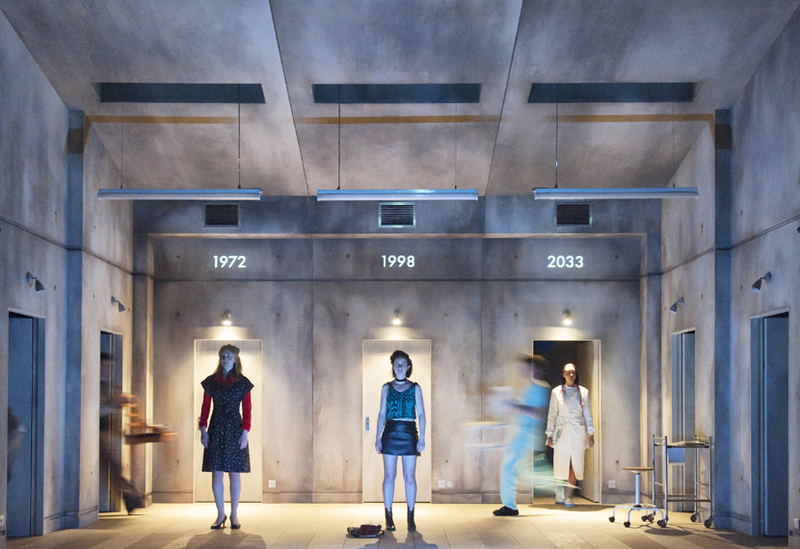 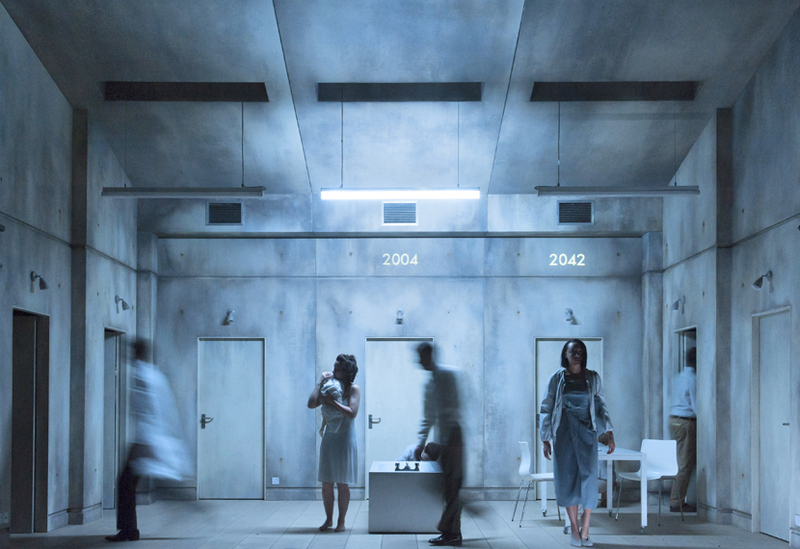 We constructed the entire set for this production of Alice Birch’s play at the Royal Court theatre in London’s West End. 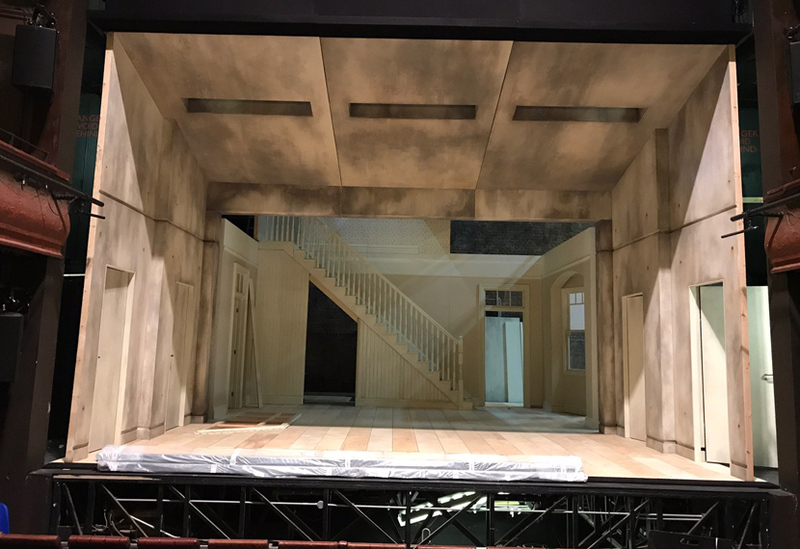 The set contained various architectural and structural details that required precise aligning, finishing and deft carpentry. 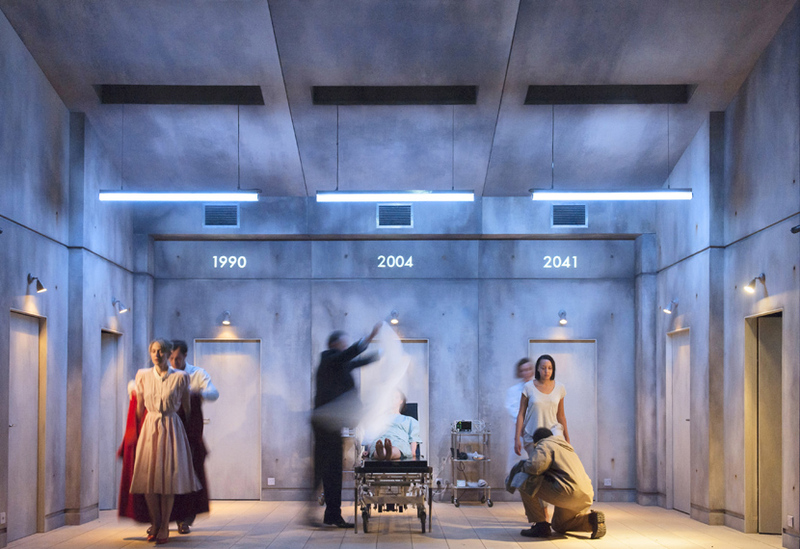 The set comprised a flown ceiling over the upstage and downstage sections which were separated by a flown wall. 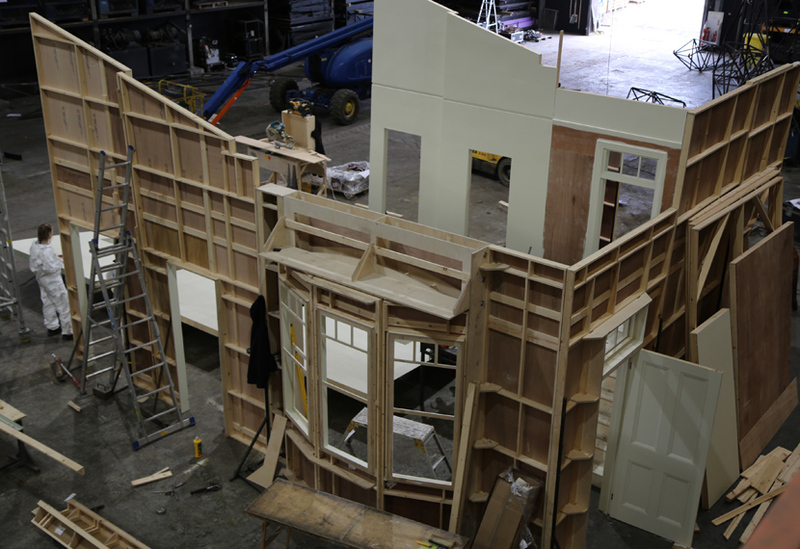 Upstage, we recreated a traditional living room with bay window, skirting, moulding and a functional staircase. 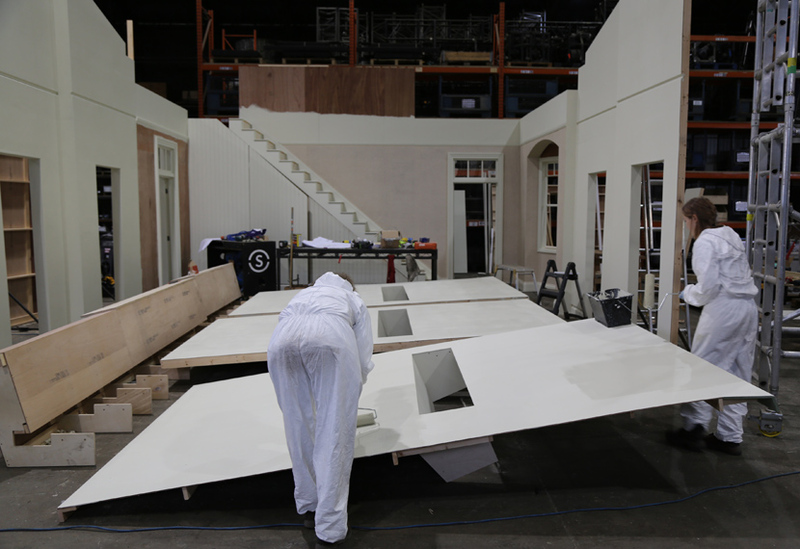 The under stairs area included a secret access door for setting props and the entire upstage was painted plain white. 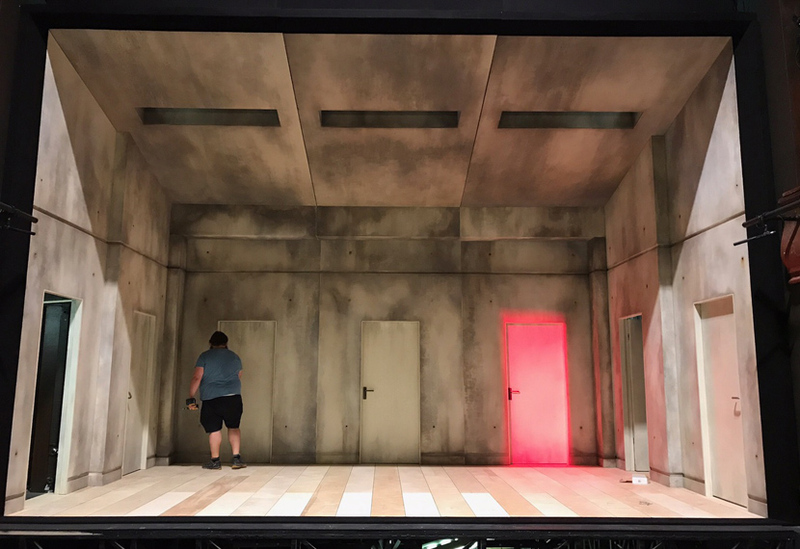 Downstage included seven working doors, three set into the flown wall which was stiffened to ensure they functioned smoothly. 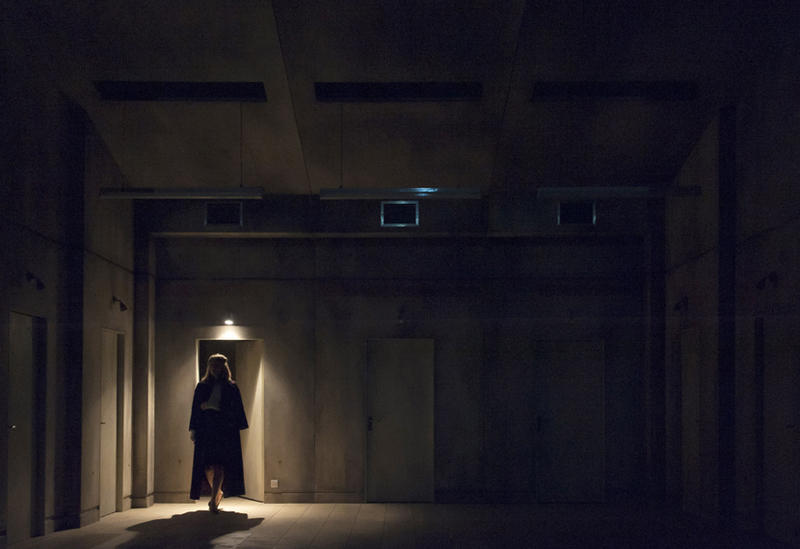 This area was given an ‘institutional’ paint finish, a theme carried through with the harsh strip lighting of the design. 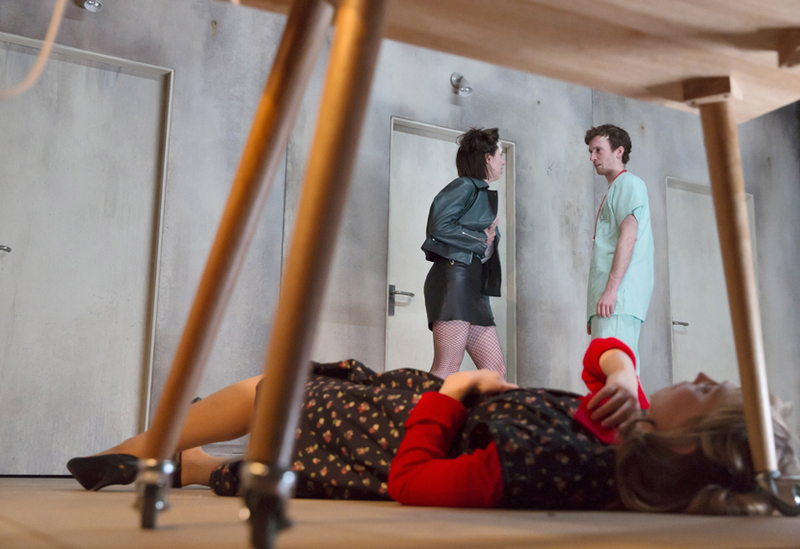 Similarly, the floor was given a paint finish reminiscent of pre-cast concrete, including rusted ‘hole’ details. 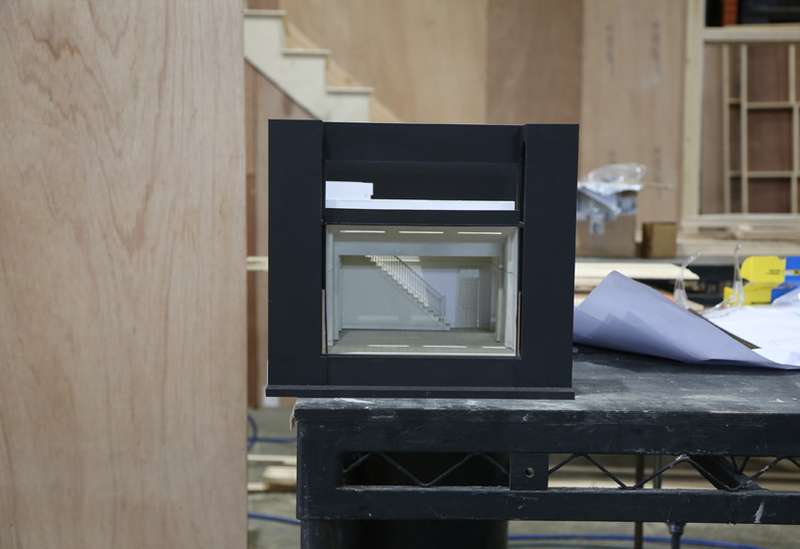 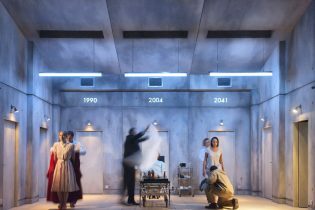 We manufactured and test built the entire set in our facility before installation at the Royal Court.